LANCASTER – A man died Saturday morning after he was rear-ended by a vehicle while riding his bicycle in Lancaster, authorities said. The crash happened around 6 a.m. Saturday, Aug. 25, on Avenue K, east of Standridge Avenue, according to a news release from the Lancaster Sheriff’s Station. “A male adult victim was riding his bicycle westbound on Avenue K in the bicycle lane. The vehicle, being driven by a male adult, was also traveling westbound on Avenue K,” the news release states. “For an unknown reason, the vehicle swerved to the right, crossing into the bicycle lane. The vehicle hit the bicyclist from behind… The bicyclist was subsequently launched forward,” the news release states. The bicyclist was transported to a hospital where he died from his injuries. His name has not yet been released pending next of kin notification. “At this time, driving under the influence of alcohol or drugs is not a factor in the collision. The vehicle’s speed is being investigated,” the news release states. Lancaster Sheriff’s Station traffic investigators are seeking witnesses to this collision. 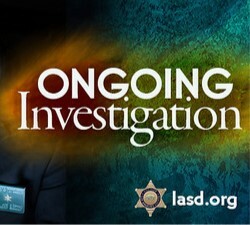 Anyone with information is encouraged to contact the Lancaster Sheriff’s Station at 661-948-8466. 4 comments for "Bicyclist killed by vehicle in Lancaster"
Where can we find out more info on this? there are some people who are worried it might be a relative. Then call, tweet, email, text face book your family and see. Why wait.